The Private Tutorial is a miniaturized version of the full-blown bar tutorial. 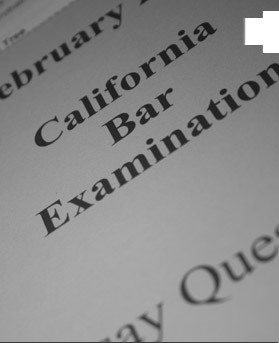 The baby bar private tutorial is based on one-on-one tutoring with a former bar exam grader.. The tutor will provide detailed feedback on written essays and meet with the students weekly prior to the first year law students exam and stress writing techniques, substantive law and an overview on how to approach the exam. Space is limited and will be filled on a first come-first served basis. The cost of the Private Tutorial (which includes the Baby Bar Review Course) depends on how many sessions and the length of the course. This program is designed for the law students that need that extra help that the socratic method and the professors that hide the ball just don't get you. Learn the core concepts of the theories you're going to need to succeed in law school AND the tools which will carry through to the bar exam from a former tutor IN LAW SCHOOL and a grader for the BAR EXAM. Go through the concepts of proper writing / writing mechanics and simplify the concepts of substantive law without all the hassle of having the confusing pitfalls the professor tries to trip you up with. As part of this course, we will spend time one-on-one discussing law school concepts highlighting the usual "pitfalls" of the various subjects and assign/grade (with detailed feedback) essays that will perfect true understanding of the law and the writing style professors are looking for. The cost of the Law Student's Tutorial depends on how many sessions and the length of the course.